It’s only five weeks until AHA (American Homebrewers’ Association) in San Diego, and in preparation I’ve been brewing up a storm the past few weekends. In order to give everything sufficient time for conditioning, carbonation, and such, tonight was the night to keg it all. This beer had been in the primary fermenter for 3.5 weeks, for the first 10 days at 66°, and the rest of the time at ambient temperature. I racked the beer onto 2 ounces of Citra hops (13.2% alpha, 3.7% beta), weighted down in a bag at the bottom of the keg. Final gravity was 1.010; down from 1.048, this works out to 5.0% abv. The beer was wonderfully clear, with a medium yellow color and clean flavor. I’ll let this dry hop at room temperature for a week or two before carbonating. This beer had been in the primary fermenter for 2.5 weeks; I cold-crashed it for the final 24 hours down to 38°. Final gravity was down to 1.021 from 1.061, which works out to 4.1% abv. The beer has really nice body to it, and should be delightful once carbonated. I began carbonating this beer immediately. This beer had been in the primary fermenter for 11 days (cold crashed during the final 24 hours). Final gravity was 1.013, down from 1.052. This works out to 5.1% abv. Both flavor and appearance are on the mark. To move things along, I’m going to try a “quick carbonation” technique. For the oatmeal stout and brown ale, I began carbonation under 40 psi at 38°. In 24 hours, I’ll lower pressure to 20 psi, and after another 24 hours I’ll check out the carbonation. 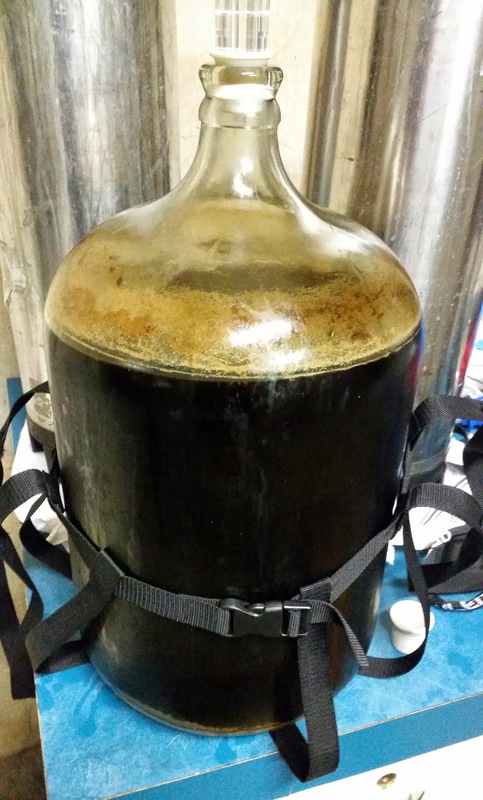 This entry was posted in brown ale, kegging, oatmeal stout and tagged BBA, Bonedigger Brown Ale, Eagle Face Oatmeal Stout, EFOS, Gondwana Pale Ale, GPA. Bookmark the permalink.